Cold River X in Glide Formula Has Landed! 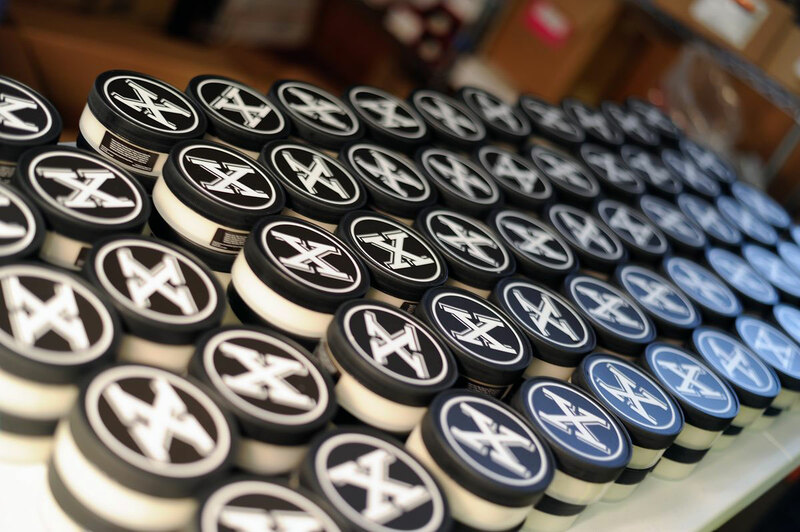 Larry has been working on a shaving soap to commemorate the 10th Anniversary of BullGoose Shaving. The soap is finally done curing and it is on its way to California as I type. The soap will have the Glide base with a scent description that includes tobacco, leather and sandalwood. Keep your eyes in your pocket and your nose on the ground...expected arrival is Thursday. This sounds like a superb scent. (04-01-2019, 10:05 AM)TheLegalRazor Wrote: This sounds like a superb scent. Thank you. I am really looking forward to seeing how the scent came together (I have not yet sniffed it). Only ONE SOAP per MEMBER ! ? Same here. This is a new and unique scent created by CRSW for BullGoose, and only available in this limited run. (04-01-2019, 09:29 AM)bullgoose Wrote: Larry has been working on a shaving soap to commemorate the 10th Anniversary of BullGoose Shaving. The soap is finally done curing and it is on its way to California as I type. I always seem to be working for these limited issue releases. Good luck and have fun! I was thinking more along the lines of an initial limit of 2 per order which can then be relaxed a week after the release if soap still remains. Do The Shave Nookians get the VIP members line? The "Restriction " was April fools joke. We need to support Phil's Bullgoose and TSN. Grab as many soaps you want! (04-02-2019, 06:08 AM)Bony Wrote: The "Restriction " was April fools joke. We need to support Phil's Bullgoose and TSN. Grab as many soaps you want! Excellent Phil! Looking forward to this for sure. Happy anniversary! (04-02-2019, 10:42 AM)gRider Wrote: Excellent Phil! Looking forward to this for sure. Happy anniversary! Thank you! I am looking forward to it as well. Looks like X soap still in transit. (04-04-2019, 04:07 PM)Bony Wrote: Looks like X soap still in transit. Yes, the updated tracking says they should be here on Monday. Hmmmmm must be half time. Or between periods for the hockey fans in the nook.